How Do You Create a Successful App? When ArcTouch opened for business in 2008, the apps we built were primarily for mobile phones. However, in the last few years, new connected platforms have emerged — including smart TVs, messaging chatbots and voice assistants like Alexa and Google Home, for example. The opportunities for companies to meaningfully engage with customers with smart app-based experiences is growing fast. What CMO — or any executive for that matter? — doesn’t want their brand to reach new levels of relevance? And what business stakeholder doesn’t want to increase brand loyalty and the lifetime value of their customers by offering new types of experiences? Of course, building a successful app is easier said than done. It starts with a great idea. And that idea, like all successful products, must simultaneously solve a genuine problem for target users and create real business value for the company. 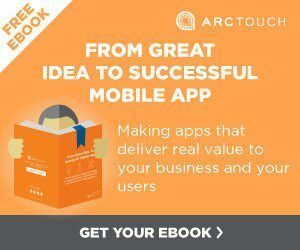 In the second edition of our popular ebook, “From Great Idea to Successful App,” originally released in 2014, we cover the step-by-step process for transforming an idea for an app into a delightful experience for your users — and one that drives real value for your business. We also explain how to create successful chatbots for messaging platforms and voice apps for emerging platforms like Alexa and Google Home. The word “mobile” is no longer required or implied in the phrase “mobile apps.” But our process — originally developed to help clients build the very best mobile apps — works just as well for developing new Alexa skills as it does for the next Uber. 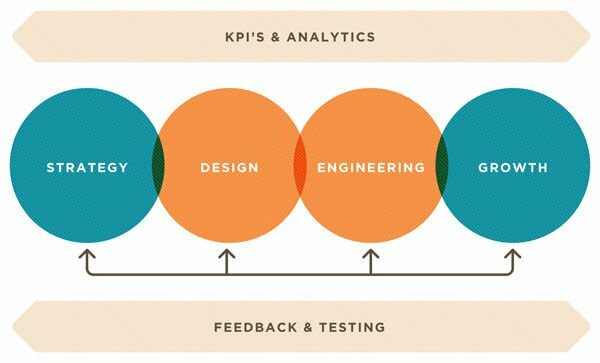 Our process integrates strategy, design, engineering, and growth — all against a backdrop of frequent user feedback and performance testing. Meanwhile, by defining key success metrics for the app at the beginning of a project, not the end, we create a guide that helps our client stakeholders and team members stay aligned throughout the process. ArcTouch’s mobile app development process is guided by business KPIs/analytics and user feedback/insight gained throughout the project. In Tommy Hilfiger’s case, the fashion house made a dramatic business model shift in 2016 to a “see-now, buy-now” runway show called Tommy Now, in which viewers of the shows can immediately purchase fashions seen on the runway through an integrated campaign on social media, the company’s mobile app and website. Having Gigi Hadid as its spokesmodel doesn’t hurt, of course. But you don’t need to be an established brand willing to bet big on a game-changing digital strategy promoted by a supermodel to achieve success. We invite you to check out our updated ebook to discover for yourself and learn how our skilled teams of project managers, designers, and engineers can put our proven process and deep experience to work to help you create a truly successful app. Troy Petersen - Troy Petersen (@Troy_Petersen) is the marketing director for ArcTouch.